When you were growing up, bullies did things like give “Indian” burns, wet willies and swirlies, or knock your books out of your hands. Yet like everything else in this world, bullying has evolved. That’s not to say it’s better or worse than it was years ago — it’s just different. Before discussing the signs of bullying, you should have an understanding of the different types of bullying. The term bullying encompasses a variety of mean and hurtful behavior often aimed at those who are different or defenseless. Physical: The most noticeable form of bullying is physical. All those “Indian” burns and swirlies you received as a kid? Those fall under physical (and no doubt emotional) bullying. Any time a student uses physical force to subdue, humiliate, harass or otherwise bother another student, he or she is engaging in physical bullying. If your son or daughter comes home with random cuts, bruises or scrapes, he or she may be the victim of bullying. Cyber: With the Internet came instant accessibility, nearly limitless information and…cyberbullying. Cyberbullies, sometimes referred to as “trolls,” hide behind their computers and smart devices and launch emotionally incendiary attacks from afar. Cyberbullies may post hurtful messages on Facebook and other social media outlets or email/text hateful comments directly to the victim. According to the National Crime Prevention Council, cyberbullying occurs “…when teens use the Internet, cell phones, or other devices to send or post text or images intended to hurt or embarrass another person”. Given how plugged-in kids are today, cyberbullying has become a sad and inevitable obstacle many youths must face. Verbal: It’s often the words that do the most damage — not the sticks and stones. Comments such as fat, nerd, loser and freak are examples of verbal abuse that can have a lasting emotional impact on young children. Verbal bullying is hard to detect because bullies will only attack when adults aren’t around, leading to the typical he said/she said argument. Emotional: Sometimes called relational aggression, emotional bullying is a subtle form of bullying where a student uses social manipulation to ostracize another student. This behavior is typically seen among girls — think “mean girls”. Relational aggression bullies have many tools in their arsenal, including intimidation, exclusion, ridiculing and good old fashioned insults. If your kid comes home with a black eye, there’s no doubt that you are finding out the name of the bully. However, other forms of bullying aren’t so easy to detect. 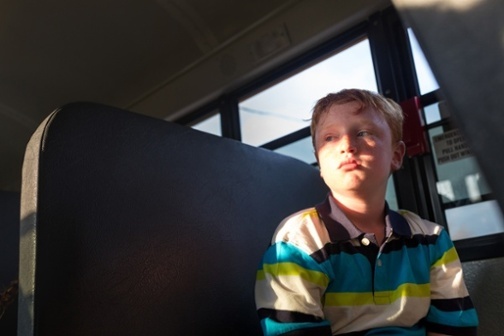 In many cases, kids hide the effects of bullying for fear of embarrassment or further bullying. To determine if your child is the victim of verbal or emotional bullying, monitor his or her mood. Does your child seem depressed or distracted? Does he or she not want to play with or talk to certain friends they played with before? Make it a point to speak with your son or daughter every day after school to find out how his or her day went. By sticking to this routine, you will have a better chance of detecting a change in your child’s mood, personality and temperament should they become the victim of bullying. For cyberbullying, look for some of the same symptoms. Also take notice of any change in your child’s grades, if they close their computer whenever you come near, or if they seem irritable after using their computer or smartphone. Depending on the situation, you may even want to monitor your child’s social media accounts to ensure they are not being harassed or ostracized by a cyberbully.